How can I add my school on ClassTag and become the ClassTag Leader? Step-by-step instructions on adding your school on ClassTag and become a ClassTag Leader. Welcome, ClassTag Leader! Here you will find how you can get started on ClassTag and get your school community organized and thriving on a free and private ClassTag platform in no time. 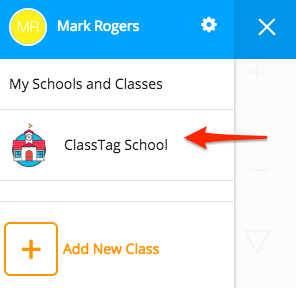 If you are new to ClassTag, please start by signing up for ClassTag and click on the “Sign Up” button on the upper right side. Enter your first and last name, email, and password. Please click on “I’m a School Leader” to proceed to the next step. The easiest way to find your school is to input your zip code and then look through the list of schools that appears below. 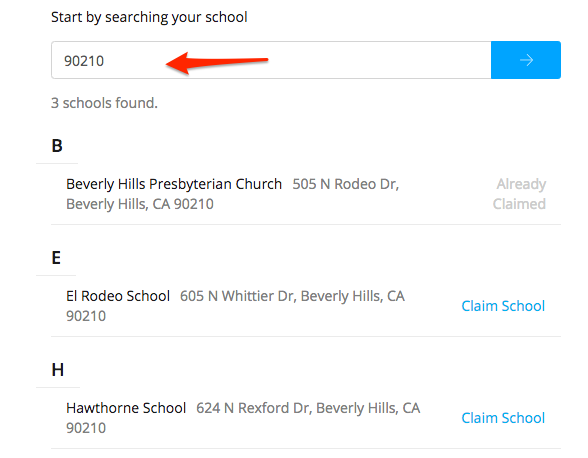 Click the blue arrow button to search for the list of schools. You can also try looking by school name. If nobody has claimed your school yet, go ahead the floor is yours to claim it! If you have difficulty on finding your school, please don't hesitate to send us a note at support@classtag.com with your school's exact name and complete address. We will get back to you shortly! 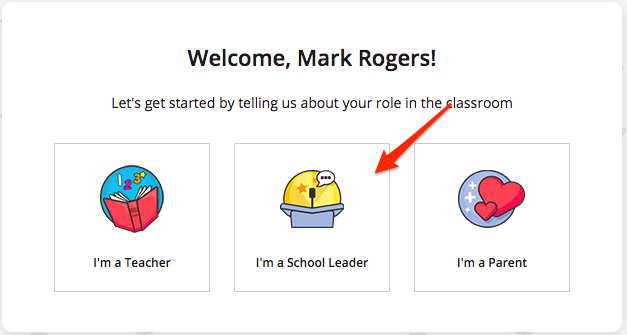 You can create new classes right from the school dashboard and invite a teacher to join in one click. That easy! Click the three lines on the upper left side. 4. 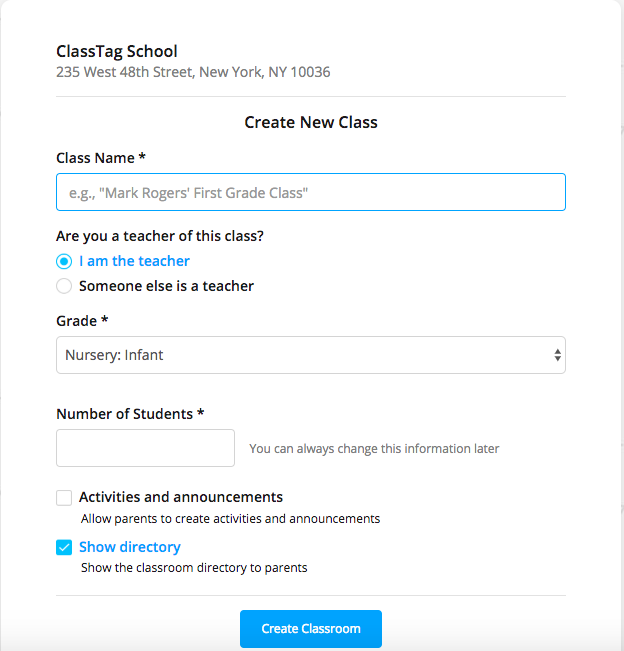 If you’re creating a new class, fill out the details about the class on the next page. You can either choose “I am the teacher” or “Someone else is a teacher”. If you choose the latter, please enter the teacher’s email address. 5. If you’re inviting an existing classroom, please enter the teacher’s email address to invite his/her class to your school on ClassTag, click “Look up this classroom” and click “Invite Class”. If you would like to invite additional teachers in each class either, the teachers can do so from their class directory or you can go in by clicking on the class and going to the directory as well. If you currently have classrooms created with your email account, you can go ahead and click 'Assign' right from the school dashboard. Have you dreamed about sending announcements to all schools or to any grade level or maybe some combination of classes in one click? Now you can do that on ClassTag! Just click the button 'Add New' at the top right of the school directory and your announcement will go right into home feeds for the individual classes and to parents' inboxes. More details here. If you need to change the address of your school please contact ClassTag at support@classtag.com. You will need to provide the school's full name and correct address. 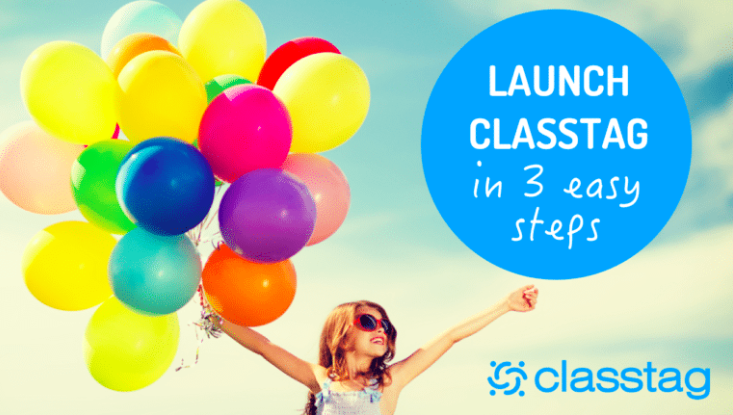 Looking to launch ClassTag in your school? This Launch Kit has all you need for success. How can I use ClassTag for school-wide announcements or activities? Are ClassTag Leaders able to schedule conferences for parents? How do I invite a ClassTag Leader?